All individual income tax cuts expire and reset Jan 1, 2026.
taxpayers filing head-of-household with income over $500,000. Capital gains rates remain unchanged from today. The standard deduction increased to $24,000 for married individuals filing jointly, $18,000 for head-of-household filers, and $12,000 for all other taxpayers. 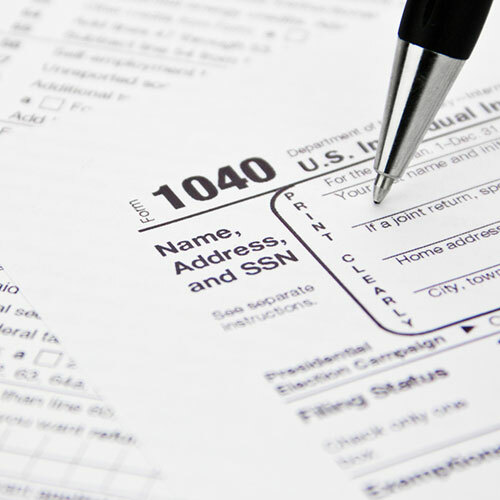 Increased standard deduction coupled with major changes to itemized deductions will result in many taxpayers claiming the standard deduction in the future. Personal exemptions eliminated. Previously the amount for each exemption was $4,150. This provision favors households with fewer children. Families of five or six see a wash. The “kiddie tax” provisions will change. Taxable income of a child attributable to net unearned income is taxed according to the brackets applicable to trusts and estates. After December 31, 2018, alimony is non-deductible and non-taxable. Personal mandate for health insurance repealed after 2018. The exclusion for moving expense reimbursements and expense deductions eliminated. Personal AMT retained; however, the exemption amounts increased until 2026. Cap of $10,000 on itemized state and local taxes income or property tax. The mortgage interest deduction is limited to interest on indebtedness up to $750,000; the home-equity interest deduction eliminated. -- Certain expenses related to taxable income (attorney/accountant services). The child tax credit increases to $2,000 with a refundable limit of $1,400 per qualifying child. There will be an expanded use for 529 account funds. “Qualified higher education expenses” will include tuition at an elementary school or secondary public, private, or religious school up to a $10,000 limit per tax year. Estate tax exemptions doubled until 2026. Questions or concerns? Please contact your RDG+Partners tax professional.